In an ever-changing digital landscape where Generation Z is owning the online space, setting guidelines and demanding involvement, brands are challenged to move beyond ‘one size fits all’ campaigns and deliver more personalised experiences powered by new and exciting technologies. Here we take a close look at some digital innovation trends that will shape the brands of the future. VR headsets will finally hit the mainstream market this year. Facebook’s Oculus Rift is breaking the ice in March, with PlayStation VR and HTC Vive to follow shortly after. This will impact overall content consumption and create new avenues for brands to reach audiences in ways we’ve never thought of before. An excellent example of an immersive VR experience is the opening of the new exhibition Disney and Dali: Architects of the Imagination, where users can move around, go inside and engage with elements of one of the artist’s early paintings. It will be interesting to see how Facebook plans to use Oculus to expand its advertising capabilities and enable brands to create VR content as part of their campaigns. And then there’s a new, much more sophisticated player, Microsoft HoloLens, promising that your digital content will feel more real then ever before. Even with no consumer launch date the HoloLens blew all other headsets out of the water on website traffic and consumer interest, spiking 50 million views since its announcement in January 2015. VR will encourage a shift in content consumption and more focus into delivering immersive experiences that engage all the senses. 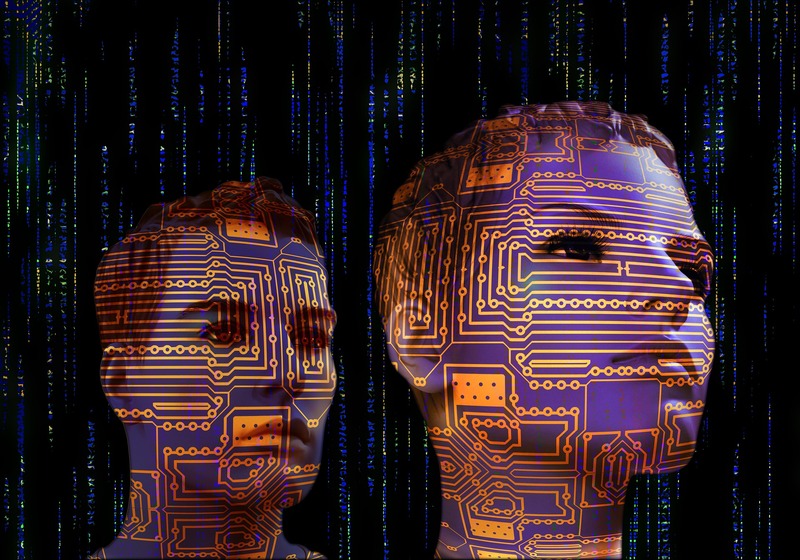 We’ve also seen movement into AI and augmented reality last year as tech giants heavily invest in technology that a decade ago seemed like a dream out of George’s Lucas subconscious mind. The mysterious startup Magic Leap has teased us with some eye-popping videos, secretly building its Digital Lightfield technology and recruiting armies of new employees after securing a lucrative investment from Google. Apple, meanwhile, has acquired Emotient – a startup that is using artificial intelligence to read people’s emotions by analysing facial expressions. It’s uncertain what Apple’s plans are with this technology, but we suspect it will change the face of digital advertising as we know it, giving brands the power to measure performance beyond clicks and views. ModiFace is another startup already powering top cosmetic brands like Sephora, Unilever and P&G with its super clever AR. 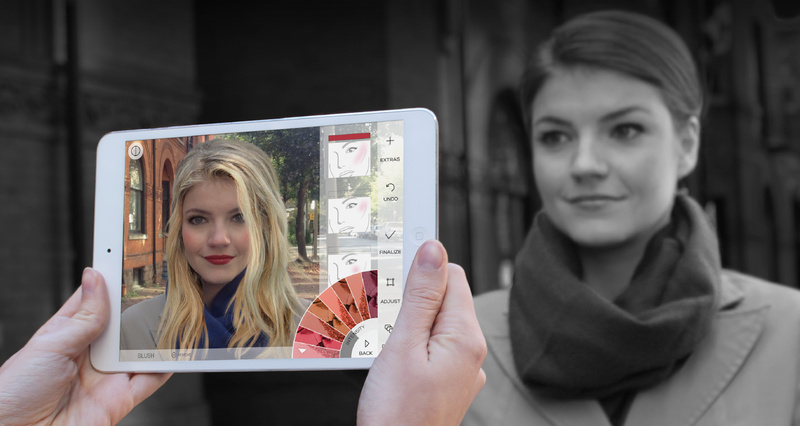 Its app lets users try make up and see if the new style suits in real time using the camera on your device. Integrated in stores, the virtual make up mirror is increasing sales by 31 percent, because it gives the opportunity to customers to try before they buy. Brands are willing to pay up to $500,000 a year to integrate ModiFace’s technology. 2016 will be the year in which content marketing grows up. According to ClickZ Intelligence Digital Trends report, 24.6% identified content marketing as the key trend for their brand in 2016. However, in a rather saturated market where every second, on average, around 6,000 tweets are tweeted on Twitter, content creation is not enough. Research shows that brand engagement rises by 28% when consumers are exposed to both professional content and user generated content. Brands who will add value by engaging their audience to co-create will secure competitive advantage. We will see a more aggressive shift towards influencer marketing, as Instagram content endorsed by celebrity influencers is evidently effective. Gen Z will continue to make their mark in the online space and social platforms will continue to introduce new features to enable them craft content on their own terms. According to a CMI report, in 2015 78% of B2C companies used UGC in their marketing strategies and in year 2014 this practice wasn’t even included in the report. Video will continue to explode, tapping into 360˚ and 3D features. More platforms will support the creation and hosting of 360˚. Apple’s iPhone 7 is rumoured to come with two rear-facing cameras able to capture 3D video. GoPro now goes live with Periscope, bringing immersive live storytelling to the masses. Worldwide mobile app downloads accounted for $179.69 billion in 2015 and this number is expected to skyrocket to $268.69 billion by 2017. An interesting, very lucrative area is messaging apps. As WhatsUp, Viber, WeChat and others grow more and more popular, brands are presented with new ways to reach consumers by utilising their billion user base. Facebook-owned WhatsApp has announced they are dropping the 99¢ per year user charge, instead choosing to refocus their revenue stream towards charging brands to talk to consumers. Chinese WeChat have already up their game by allowing users to pay bills, book appointments and check traffic directly through the app. Rather than seeing apps as individual destinations in the user journey, we will see limitless integrations and ultimately apps acting as publishing, messaging and e-commerce tools that will require instant actions, resulting in more user interaction. This will open new possibilities for internal communications as well, with the shift towards companies creating their own ecosystems of customisable digital capabilities. The wearables market won’t be slowing down either. In a world where everything is trackable and the rise of the Quantified self is becoming an obsession, consumers are hungry for new technology that is personalised, highly analytical and can help them improve their lives. 84 million wearables have been sold in 2015, with a forecast of 245 million to be sold in 2019. We’ve seen brands tapping into this space, with Jaguar launching its own band at Wimbledon last year tracking and visualising audience emotion as the main purpose of the #FeelWimbledon campaign. What made this so compelling for the audience is the sense of contributing to the hype that Wimbledon brings. Ford is pushing this even further, testing wearables that can help improve drivers’ experience and safety. By measuring and analysing stress levels and drowsiness based on real time heart rate and sleep monitor data, the car will be able to make decisions and turn on autonomous features, such keeping you away from other cars if you are not in a position to drive safely. The potential of self-improvement with digital innovation is immense and consumers are interested in brands that experiment with new technologies they can benefit from. As digital innovation advances, brands are once again tasked with adapting and evolving to stay ahead of the curve. Bold, savvy, progressive brands eager to push the limits and break the rules of content creation, communication and advertising to get closer to their audience will reap the benefits these technologies can bring. Who will innovate best and lead their markets is the exciting part we’re waiting to see.